Next in our ongoing Photographer Spotlight series is Nick Bondarev. Nick is a Russian travel and northern culture photographer, film maker and writer. He’s also the owner of Northern Winds, a travel company that offers boutique tours of Iceland, Mongolia and Russia. What is your specialty? What do you love to photograph? I position myself as a photographer who takes pictures of the northern regions, people, nature and their interaction. How long has it been since you first started taking photography seriously – what has that progression been like? I have been engaged in photography for 9 years, and I managed to work practically in all its directions, reporting, weddings, portraits, fashion and so on. Are there any particular images you’ve captured that stand out as being especially meaningful or satisfying for you? I prefer to select a series of pictures, since I shoot stories. I think this is a series about eagle hunting in Mongolia (click here for the complete series) and about our trip on a sailing yacht around the eastern fjords of Greenland. What challenges do you face capturing the shots you want to capture? What motivates you to put in the effort to overcome those challenges? 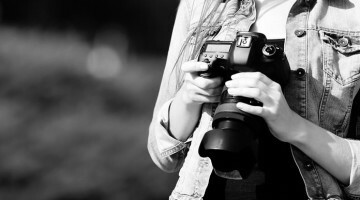 Photography is my life, and I do not need motivation to live it. I just do what I like, then when I want it and that’s it. What gear do you use? Why? I’m working with different gear, I love experiments. For now it Sony A99II, 50 1.4 Zeiss, 24-70 Zeiss and 70-200 2.8. Is there a market for your work? How do you make money? I’m owner of Northern Winds travel company, we doing unique tours to Iceland, Mongolia, some parts of Russia. Also, I’m selling pictures on Stocksy stock photography and doing some commercial shots time after time. How do you promote yourself and your work? I promote my work with Instagram mostly. What are your goals for your photography career in the next year, 5 years, long term? Next 5 years… I gotta finish my book and I have some ideas try to be a movie director. But honestly, my goal for future find a place to call home, and care about myself and personal things. Photography just a part of my life, and now is a time to slow down a bit. Do you have any tips or advice for photographers who love your work and would like to photograph something similar? Best advice I can give – be away from doing something similar like someone. We have to hardly create our own story and keep personal style. Shot more, shot every day if it possible, and find some spare way to make money, to be free of commercial stuff. We growing up way faster when nobody tell us what to do. Or follow him on Instagram, Facebook or 500px. You can also find out more about Nick’s travel company Northern Winds here, or on Instagram. And if you’re interested in a personal Skype photography workshop with Nick – you can find out more here. Have a comment on Nick’s work or his Q&A? Leave a comment below. Have any thoughts on the Photographer Spotlight series, please let us know too!